A request from a reader – If you have window space??? I am proposing a public installation that involves 3 artworks presented by 3 different graduate student artists. The work will be displayed on to windows from April 29th until May 3rd. The poster size is 31” x 65 .5 Ideally somewhere downtown that would allow me to show the artwork outside in public view. As mentioned this work is temporarily displayed and will attract people to the area. 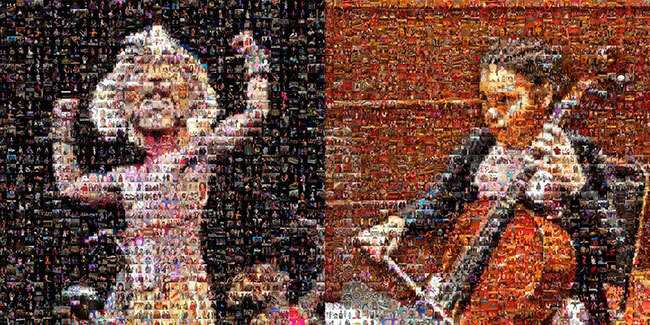 Images will only be shared for people with interest. As this project is also to fulfill a requirement for my class which is a public art theory course at the University of Wisconsin Madison, all students will have to find ways to present their work in public either in the City or University property. I would like to work with you and present more art within the City of Madison. RSK: If anyone can help Roberto out please contact him. The art is usually tremendous. 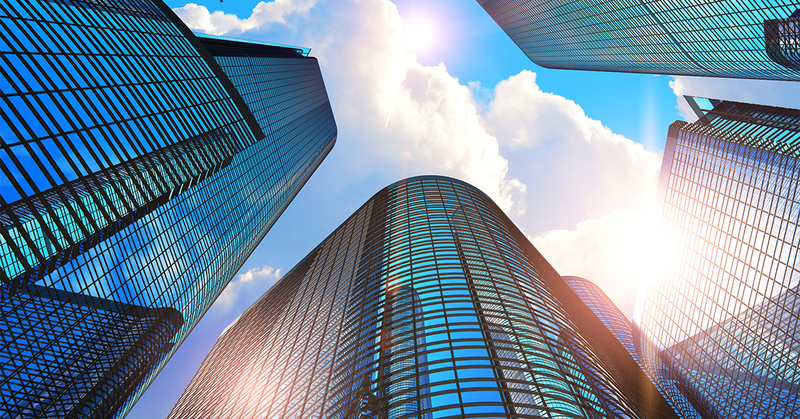 Commercial Real Estate: What is Next? Tax Cuts & Jobs Act of 2017: What Does it Mean in 2019? 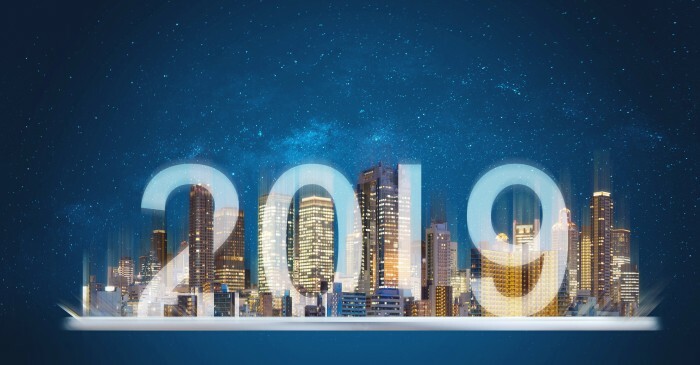 With the unveiling of the highly anticipated second set of proposed regulations related to opportunity zones, 2019 is going to be a big year for investors wanting to take advantage of the much-hyped federal program. By Wednesday afternoon, commercial real estate professionals, investors and others were poring over the 169-page regulations released by the IRS and the U.S. Department of the Treasury. “From what we’ve seen so far, this is a positive step,” EIG President and CEO John Lettieri said. “This removes a lot of the obvious impediments that have kept capital on the sidelines to date … I think it’s going to free up a lot of capital.”..
RSK: Finally IRS clears up some of the major questions regarding Opp Zones. No triple net leases folks but you can pass it on to your heirs are just a few clarifications. Read this one. When the Republican Party first put forth its plan to reform the country’s tax laws, housing experts worried it could put a damper on home-buying activity. Now that the GOP’s tax plan is the law of the land, some fear those predictions may be coming to fruition. 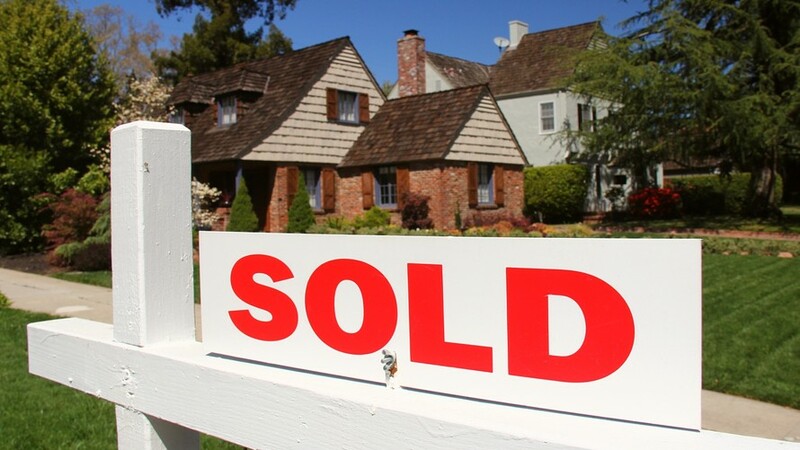 A new report from analysts at the Federal Reserve Bank of New York examined the drop in home-sales activity between the fourth quarter of 2017 and the third quarter of 2018. The figures in the respective quarters were adjusted for any seasonal factors impacting the housing market at those times of year. In that period, new home sales fell 7.6% nationwide — with the Northeast and West regions sustaining the most substantial drops in sales activity…. RSK: I would say yes it has, but it is not the only reason just a piece of the puzzle. 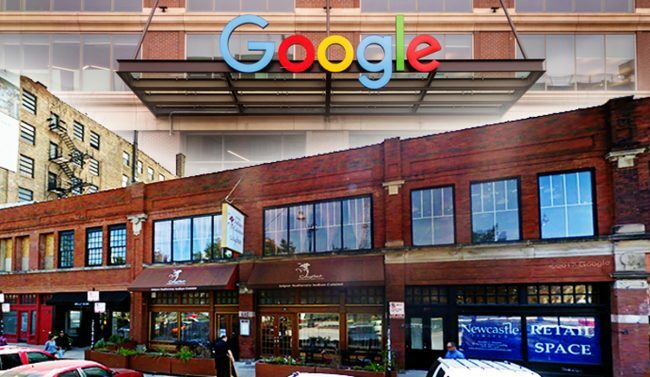 Google shelved plans to open its first retail store in a Fulton Market building owned by Newcastle Limited. RSK: Can`t wait to see how their store is set up. It may well be the retail of the future. 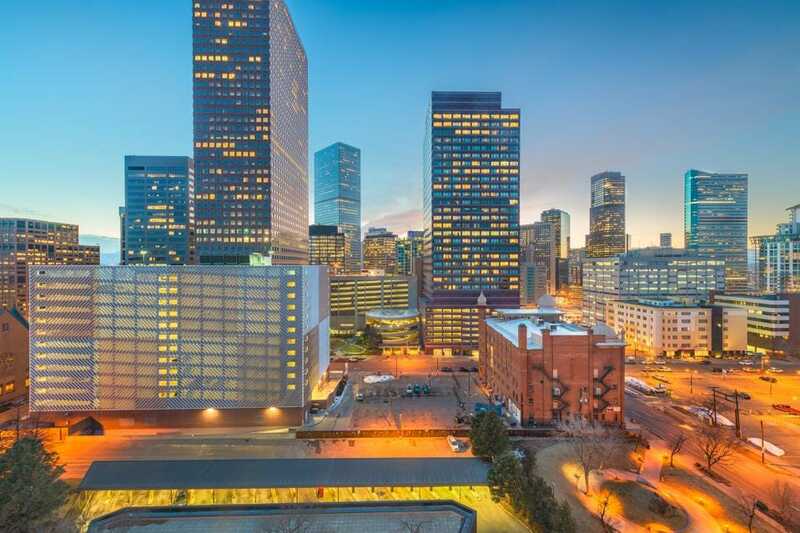 Maybe it takes more than 150 years of combined commercial real estate experience to realize the desire for rooftop decks in office buildings is not going away any time soon. Neither are hotel-like lobbies with free WiFi, restaurants and bars, nor state-of-the-art gyms. More than 6,100 stores are expected to close in 2019. Bed Bath & Beyond said it plans to close at least 40 stores in 2019, and possibly more unless it can negotiate more favorable lease terms with its landlords. The company also said it would open 15 new stores. Charlotte Russe, Family Dollar, Abercrombie & Fitch, and Chico`s recently announced more than 1,100 store closures in a span of 24 hours. Payless has said it plans to close all of its 2,500 stores in what could be the largest retail liquidation in history. RSK: The weeding out of the same as the Jones continues…too much of the same. The most popular fried chicken fast-food chain in the U.S. is hitting turbulence as it tries to land at several American airports. 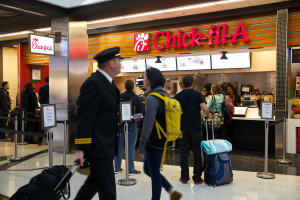 Chick-fil-A is on track to become the third-largest U.S. fast-food chain, but three U.S. airports are severing their ties with Chick-fil-A, two before the first waffle fry could be served. After San Antonio airport officials sent a new concessions contract to the City Council for final approval, city leaders approved the contract in late March on the condition that a licensed Chick-fil-A was removed and replaced with a new tenant. RSK: Is this political stance or a food stance. say Chick-Fil-A is trying to have it both ways or their chicken and eat it to. Or is it similar to sanctuary cities but no illegal immigrants from the border. Whatever the stance they are being turned down at many public facilities such as airports and stadiums. Ken Notes: Does anyone see the irony in excluding them for the christian perspective of a CEO, even though they clearly serve and hire people of all backgrounds, and the do it with a smile and a great product. Hundreds of property listings, organized for easy browsing. New properties are featured every month. 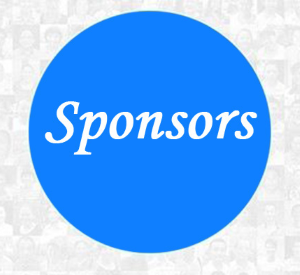 Property/Drive CIREX Members alphabetically listed in our extensive directory. The Belgium confectioner is rolling out 2,000 cafes over the next six years that will serve a complete menu of items like the croiffle, a croissant and waffle hybrid that’s stuffed with fillings like cheese or chocolate and pressed on a waffle iron. Other items include an expanded list of coffees and a new collection of teas as well as grab-and-go items like sandwiches and yogurt parfaits. The cafes mark Godiva’s foray into prepared meals. 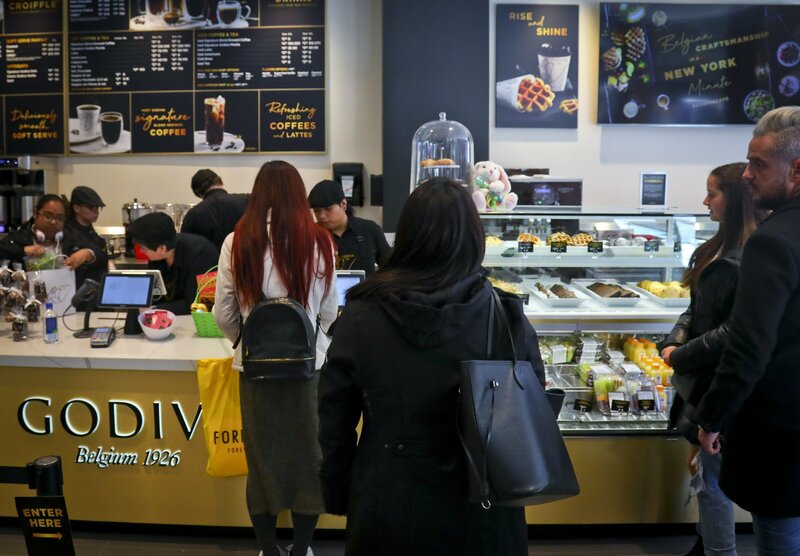 The first one officially opens in Manhattan Wednesday and is part of an ambitious growth plan spearheaded by CEO Annie Young-Scrivner, who took over Godiva’s helm in 2017 after serving as a top executive at Starbucks. Her goal: to increase its revenue fivefold by 2025…. RSK: I wonder if they researched that if they put their chocolates in current coffee cafe`s it might not be a better option…stick with what you are good at. Now they will find the problem of trying to recruit help for the hospitality industry is a real headache. Mid-America Real Estate – Wisconsin, LLC offers the same high level of service in property leasing, asset management, tenant representation and investment sales for which Mid-America has become known. Keeping a department-store chain afloat can be tricky. Dozens of regional and national chains have collapsed over the years, even before the retail apocalypse got started. Check out these companies that have succumbed to changing tastes, the advent of shopping malls, poor business practices, and tough luck. Retail can be a merciless business. Take department stores, for instance. A quick scan of any list of defunct department-store chains reveals that it`s a business that doesn`t take kindly to mistakes — or even just plain old bad luck…. RSK: Some big names here that you will recognize….retail is a tough margin business for sure. A majority of commercial real estate brokers who filed their taxes prior to Tax Day April 15 say they will be paying Uncle Sam more money for this past tax year, according to the latest Apto National Broker Buzz Poll. RSK: I would say in my case I made a bit more money but also had more usable deductions from real estate investments and that combination kept things at equilibrium from last year. How about you? Madison Lifestyle Office Portfolio comprises 16 Class A properties totaling over 1.7 million square feet of leasable area and an additional 8.3 acres of development land. The portfolio is located on the west side of Madison, Wisconsin. In an effort to bring more customers into brick-and-mortar stores and adjust to people`s penchant for texting, more companies are turning to text messaging. 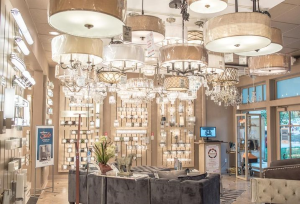 Los Angeles-based lighting retailer Lamps Plus has introduced a new feature that allows customers to use their phones to text a store associate and ask questions about an item before they walk into the store…. RSK: I like this idea! 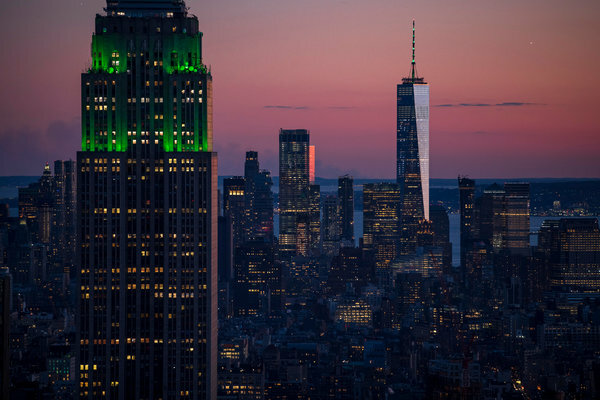 New York City is about to embark on an ambitious plan to fight climate change that would force thousands of large buildings, like the Empire State Building and Trump Tower, to sharply reduce their greenhouse gas emissions. RSK: I understand that buildings, especially older ones, do emit or leak energy or CO2. But by putting unrealistic goals and burdens on some of the properties and levying fines if they do not reach such a standard is really just another tax and will not solve the problem in my mind. The Gialamas Company`s premier development. The park has over 57 buildings containing 200+ companies, occupying over 3.0 million square feet. That surely isn’t helping mall owners…. RSK: Maybe Malls should not focus so much on retail as much as experiences that you just cannot get online! 1.4 Acres Located on high visibility corner of State Hwys 33 and 44. AA daily Traffic Count of 4,600. Nice set of buildings which include, show room, repair shop, cold storage and living quarters. Many potential uses. Formerly Rohde`s small engine. One of the most important engagements of the year is Commercial Real Estate and Government Day. This year, the event will be held on Wednesday, April 24th in Madison. By participating in this fast-paced, half-day event, you have the opportunity to meet your elected state representatives, establish and strengthen relationships, and ensure key policy proposals advancing the commercial real estate industry. CARW, CCIM, SIOR, AASEW, NAIOP, WCREW and other CRE organizations to storm the State Capitol for REALTOR® Government Day. With the largest Real Estate Practice of any law firm in Wisconsin, Reinhart offers clients custom-tailored real estate insight. More Stores Have Closed So Far In 2019 Than In All Of 2018. So What? RSK: I couldn`t agree more. Stores used to be small warehouses for retailers but now they can have things delivered from a warehouse so only need a few samples hence less square footage. From 9:00 a.m. – 12:00 p.m., CBG is offering CE. This continuing education class will be taught by Reinhart Boerner & Van Deuren, s.c. This approved course will count towards the credits needed for Wisconsin licensee renewal. If you have any questions, please contact Wendy Sullivan at 608/772-0060 or wendy@advantageosborne.com. 2018 DOY Presentation with Photos is Here! List of equipment and some floor plans available..
With over 350 experienced real estate professionals, Knight Barry provides exceptional support and service. 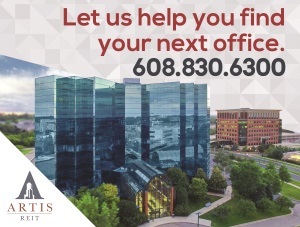 Visit our website for more information about our 50+ commercial and residential offices throughout Wisconsin, Michigan, and Minnesota. RSK: Will be interesting to follow this one. Our roster of restaurants reads like a who`s who of Madison`s favorite eateries: From Monty`s Blue Plate Diner, to The Avenue Bar, to Steenbock`s on Orchard, each is unique in its atmosphere and menu and each is the best at what it does! Ken Notes: Now this is a destination property! Flad Development & Investment Corp. 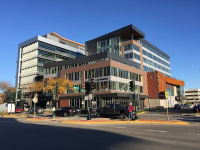 Since 1975, Flad Development & Investment Corp. has emerged as a leader in the development of quality commercial real estate projects in Madison and Milwaukee. Newmark Grubb Gialamas specializes in investment sales, office, retail, industrial, land, multi-family properties and 1031 exchanges. Our knowledgeable, local brokers are subject experts in their field. with every T. Wall Urban Village. IA Management is a full service property management company located in Madison, Wisconsin. Our objective is to be a profitable leader in both commercial and residential real estate. Our focus is your focus, our goals are your goals. 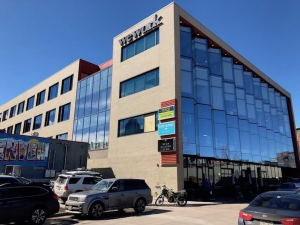 Coworking is already part of mixed-use developments, but Colliers reports that developers now have the opportunity to attract coworking companies directly into retail centers, much the same way that clinics and other medical facilities are locating in otherwise retail contexts. RSK: What? What? I have been saying this for years!! Retail space now available at Kennedy Place, located in the popular Schenk-Atwood neighborhood! Prominent building signage opportunity with ample foot and car traffic. Co-tenants include Anytime Fitness, Barley Pop, Monsoon Siam Restaurant, Table Wine and Prairie Land Insurance. 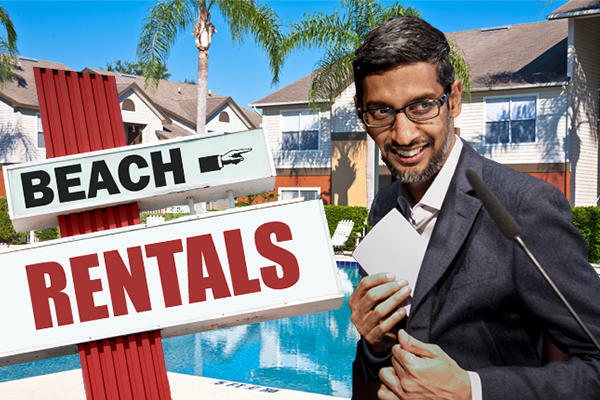 On the heels of launching its new hotel booking platform, Google is adding new vacation rental offerings to the business. RSK: Won`t be long before WeWork is in this arena as well. In March, Facebook said it had agreed to a settlement with civil rights groups over discrimination in the way it has allowed advertisers to target audiences. 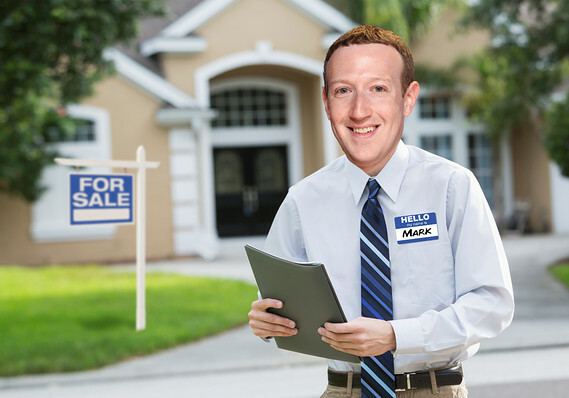 RSK: Heck should the real estate industry and Realtors be worried! According to new research from Zillow, real estate investors appear to be flocking to Opportunity Zones in the U.S., where they can receive a discount on capital gains taxes for investing within certain areas. Despite rising construction costs and, consequently, rising rents, office users still have an appetite for shiny new space in Atlanta. RSK: Definitely a sign of the times but what goes around comes around. I can tell you that doing build-outs for many small private offices is much more expensive than the open office concept. That may be a driving force in the future. Ken Notes: A company should really do a personality survey on all their employees to determine what office environment is most productive for each individual. Some will thrive without walls others would do better in a phone booth. It is all about energy!!! 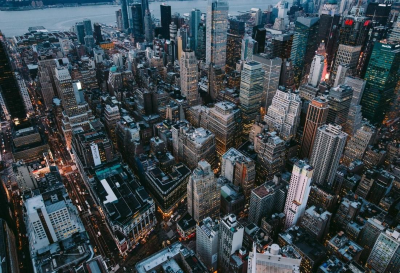 Lenders are growing increasingly wary of providing debt for transactions where WeWork provides all or most of the income in an office building, according to a report from Bloomberg. RSK: Speaking of the Devil and getting too large for one`s britches. 7,800 sf industrial space with office in two tenant building available for lease on Vondron Rd. Originally built in 1972 and remodeled in 1992, this location offers easy highway access and 10,000 sf of fenced outside storage. Remember Manchester`s department store? What about Woolworth`s and Kresge`s? 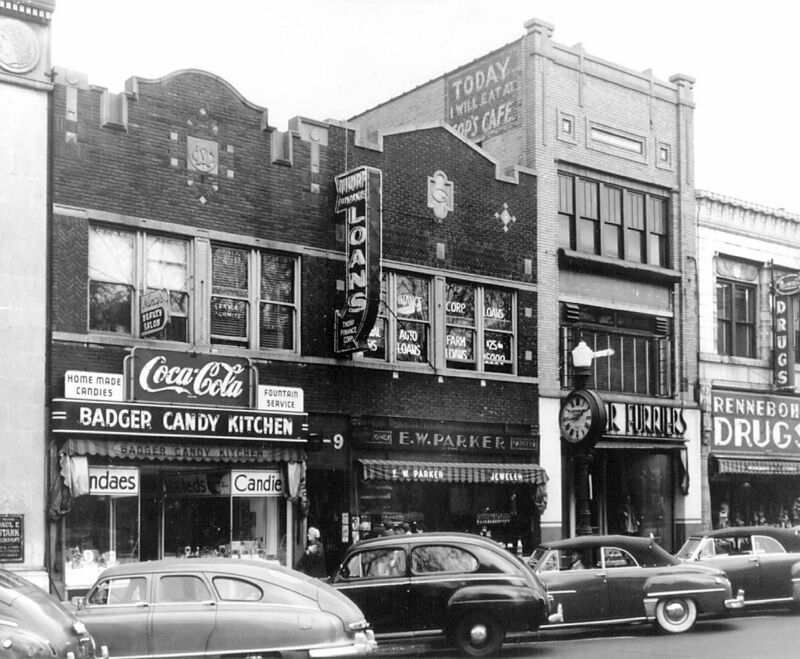 Downtown Madison has been home to many iconic shopping hot spots over the years. This gallery looks back at some of them. RSK: Just for a fun throw back. RSK: A list of CARW Events and CE. 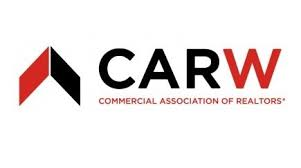 2019 ICSC / CARW Retail Conference April 2	CARW and ICSC are proud to present the State’s biggest and best annual retail event. Join us for a full day of featured speakers, industry roundtables, breakout sessions, retail runway and the best networking with retail and more than 400 commercial real estate professionals. We are pleased to welcome, in 2019, ICSC President and CEO, Tom McGee. 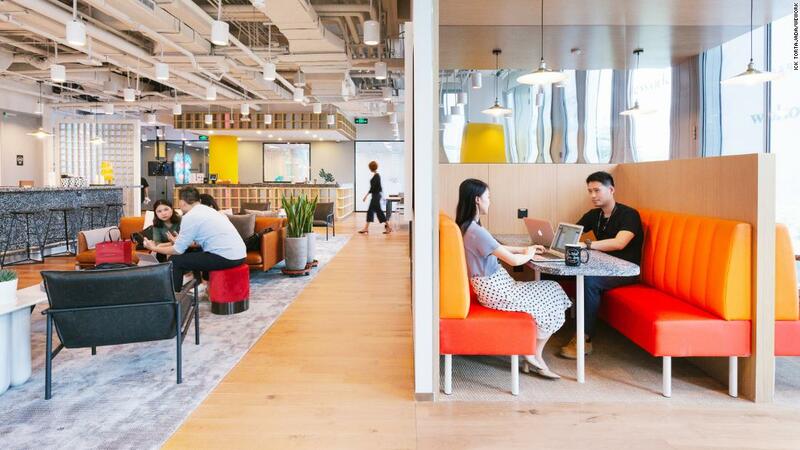 WeWork has swept up another startup in a bid to bolster its strength as a global workspace company. 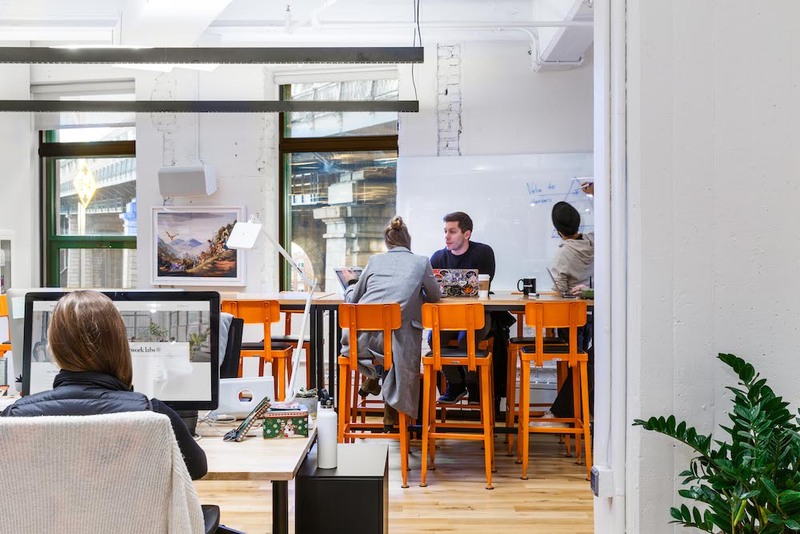 WeWork said Wednesday it acquired Managed by Q, a New York-based startup that takes a tech-enabled approach to office services. The 5-year-old startup helps businesses take care of crucial but unglamorous office needs, such as keeping track of cleaning and office supplies, requesting handymen and scheduling cleanings. Managed by Q`s customers schedule it all via online dashboards. Unlike most on-demand companies, the startup set itself apart by hiring workers as employees instead of contractors, offering hourly wages, plus benefits like 401k plans. The company currently has about 500 employees. RSK: WeWork reminds me of the Roman Empire…keep absorbing things and get the tentacles so far spread out that it eventually collapses…but not in a day of course. Wonder what is next. I am still betting on self-storage. For all the intrigue that opportunity zones have generated, they have also come with their fair share of concern. But as the delay in final regulations drags on, it may also solve one of the program`s problems by accident. RSK: One of the problems with OZ`s will be attracting the quality tenants to fill the space. Sears will open three “Sears Home & Life” stores in May, in Anchorage, Alaska; Lafayette, Louisiana; and Overland Park, Kansas. That’s after the department store chain has shut hundreds of Sears and Kmart locations over the years and filed for bankruptcy protection in October. RSK: I hope this concept makes it. Remains to be seen. EGOs And Experience. Two Simple Reasons The Future Of #CRE And #TECH Is Going Nowhere, Fast! Oh, how deep can I get? It’s meeting after meeting, conversation after conversation, drinks after drinks, uh maybe not so much lately but I’m all up in it here in New York. I do love the access to just about everything. I even went to an Architectural Digest Design Conference last week. I am keeping the mind open and nimble as much as I can. You can always learn. 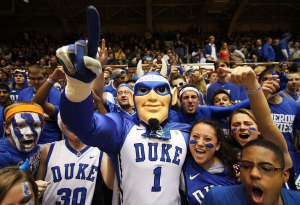 RSK: Yes, it has Duke`s language in it but that is to get your attention…this is a must read. 1300 square foot open concept office space in newer single story building. RSK: A free course from CCIM on Opportunity Zones and 1031 Exchanges. which examines how real estate needs to operate in a new world where the way people use space is changing fast. As a result the business models that have served real estate well for decades are becoming increasingly challenged. “The customer used to be the capital markets, but now it is the person using the building,” one report interviewee said (interviewees are anonymous)…. RSK: If you are in retail and development this is the one article you need to read this week. In fact whatever sector you are in read this one. New concepts coming online for just about everyone. with 2,000 units. Store Here Self Storage will manage the asset. branded and operated by Store Here Self Storage. RSK: That is a whole lot of units and storage space. A lot of it will be high grade units. Wonder when WeWork will get into this business. The latest in the trend to boost wellness and productivity is a sleep retailer. Nap Bar is opening its first location on April 1 in Rice Village. 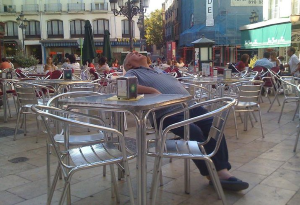 It is the first facility in Texas that allows customers to pay to take a power nap. It is located inside New Living, a natural and organic mattresses retailer, at 6111 Kirby Drive. 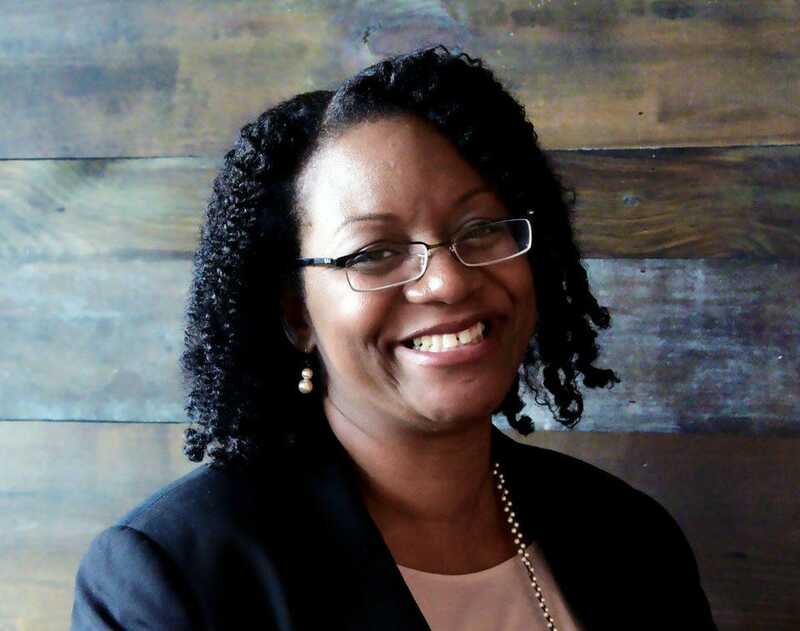 “Our goal is to promote wellness and turn sustainable rest into sustainable productivity for health-conscious humans,” Nap Bar founder and President Khaliah Guillory said in a release. RSK: Not sure the author hit the mark on this one. RSK: Is WeWork an amenity or a deterrent? Walmart is closing nine stores in the US. The closing stores include one Walmart Supercenter in Lafayette, Louisiana, and seven Walmart Neighborhood Market stores in Arizona, California, Kansas, South Carolina, Tennessee, Virginia, and Washington. Walmart is closing at least nine US stores across eight states. The closing stores include one Walmart Supercenter in Lafayette, Louisiana, and eight Walmart Neighborhood Market stores in Arizona, California, Kansas, South Carolina, Tennessee, Virginia, and Washington. The closing date for most of the affected stores is April 19, according to employees of those stores, who confirmed the closings to Business Insider. RSK: I thought these stores would be located near campuses and other dense neighborhoods. What caught my eye is they plan to open less than 10 new stores this year. Saturation point? 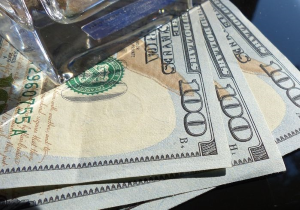 New Jersey and Philadelphia have new laws banning stores that do not accept cash, citing issues of discrimination. 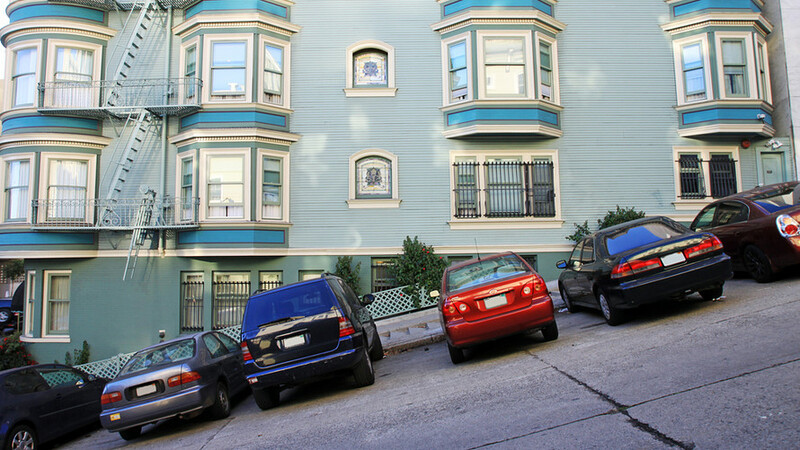 Now, San Francisco is weighing a proposal for similar legislation. A local official says cashless Amazon Go stores would be included in the proposed legislation. San Francisco is considering a ban on cashless Amazon stores as it weighs a bill that would make it one of a growing list of cities forbidding cashless retailers. RSK: I don`t think this is all bad. In fact, Hy-Vee just put in 10 self-checkout lanes to speed things along with some credit card only. RSK: A list of CARW Events and CE. Companies relocating to the Dallas-Fort Worth Metroplex have their pick of cities to land in, but city officials say they aren’t fighting over these businesses — instead, they`re hunkering down, studying the data and figuring out what relocations are the best fit for their respective communities. to be the right fit for each community. ..
RSK: What really caught my interest in this story is the map. I didn`t realize there are so many lakes around the DFW metroplex. At Schenks Corners. Eclectic old remolded retail suites in great neighborhood. 3 suites remain. Eclectic space at the Schenks Corners. Old meets new remodeled. 2 tenant parking spots included plus street parking. popular destination village of Paoli, WI, just minutes from Madison. ceramic block walls, wheelchair accessibility and off-street parking. also a popular area for cyclers, fishing and boating. Ken Notes: This is perfect as a destination retail outlet for arts, brewery, winery, crafts, a bike shop or more. From 9:00 a.m. – 12:00 p.m., CBG is offering CE. This continuing education class will be taught by Reinhart Boerner & Van Deuren, s.c. This approved course will count towards the credits needed for Wisconsin licensee renewal. If you have any questions, please contact Wendy Sullivan at 608/772-0060 or wendy@advantageosborne.com. Full Presentation with Photos is Here! You Pay For All That Data. I Can Give It To You For Free! Let Me Explain! I am about as deep as they get in #CRE and #Data. It is an everyday conversation I have with someone somewhere on this planet and have written article after article on just that one subject alone. What Happens When #CRE Data Becomes Real-Time And Direct? Will You Be Ready To Compete? Random Thoughts And Conversations About The #CRE Brokerage Model And Data. Is The Value Of Your Data Just A Social Construct? This Is EXACTLY How A Tradable Data Marketplace Will Work And I Challenge Michael Mandel Ceo Compstak. 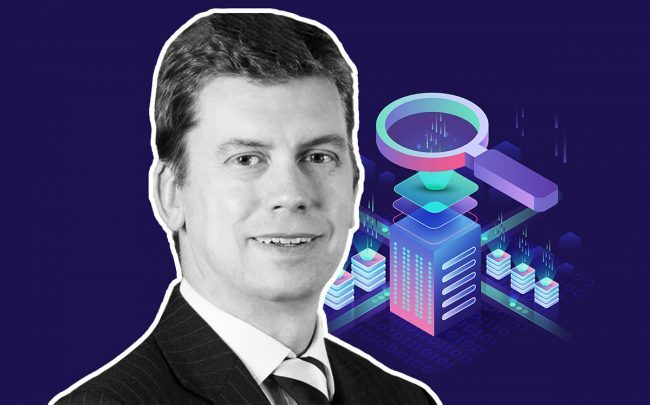 We Need A Tradable Data Marketplace And We Need To Build It Ourselves. Getting Paid For Your #CRE Data! Commercial Real Estate Data Is Open. Now, What Happens? Commercial Real Estate Data As A Hedgeable Commodity. Over the years I’ve done a pretty decent job of helping explain why your data is such a valuable part of what you do. I’ve also said many times that you should not only use quality data sets but that you should also GET PAID for it. But as we all know our industry has decided there is still some form of value in giving it away and paying to get it back. RSK: You have to read this one by the Dukester! RSK: The best thing will be more competition and pricing. There is a point where the amenities are not worth the rent increase for new properties. vacant retail building over 12,736 sq. ft. 200 amp service – overhead doors – outside garage – located on busy hwy 12 short drive to Madison, Baraboo, Wisconsin Dells near unity Health Insurance – over 16,000 car daily. Commercial real estate brokers` bottom line depends on their ability to predict trends and watch the market. This week, many are using that skill to fill out their bracket for March Madness, the biggest college event of the year. They just happen to be using a little bit less of that skill for work this week. RSK: Enough said…but here in Wisco, with Marquette and UW blown out of the first round, it may be a bit more work and less watching. After reaching a deal with Madison in January to return development rights for half of the two-block Judge Doyle Square project to the city, records obtained Monday show Beitler Real Estate notified the city over a month later that it was “impossible” to complete its portion of the project. On Feb. 15, Beitler Real Estate sent the city a notice of default through its attorney. In it, Beitler claimed that the way the city zoned the block that currently holds the Government East parking garage is preventing construction of a private hotel and apartment complex there from moving forward. Ken Notes: I would like to hear from George Austin and the developers who would have a real understanding of the issues here and I can wait until after the meeting because speculation only make things worse. I get very nervous when the lawyers step up to the mic and in this case the two representing the city do not seem to agree. Funding may be a real issue because in development time is money and a delay regardless of cause may cause money to tighten but that is only a guess on my part. I do not know how much of the actual process has made the news, but if letters from lawyers is the first point of discussion I have real concerns with the management of the product. My assumption is that the staff has been working on this and Beitler is concerned about the time it takes for government to do anything — again only speculation on my part but we have some pretty smart people at the table. Also why is Assistant City Attorney Kevin Ramakrishna so vocal and opinionated while City Attorney Mike May is more reserved and pragmatic in his comments. Of course that might just be me reading between the lines but the mayor and staff have offered no comment, Even Ald Ahrens is not addressing the specifics and he is often very vocal regarding the developer. Clearly there is tension between the two parties, but until we have this issue before us in full the city needs to manage the press – me included. The retail apocalypse is ripping through America. More than 5,300 store closures have been announced so far in 2019. These photos reveal the impact of the retail apocalypse, with deserted malls, empty shopping centers, and disorganized stores selling deeply discounted wares. The retail apocalypse continues to tear through America. More than 5,300 store closures have been announced so far in 2019, as Victoria`s Secret, JCPenney, and Gap shutter dozens of locations. 1,100 closures were announced in a single day in March. Ten retailers have filed for bankruptcy or liquidation so far this year. RSK; Great photos but haunting for the retail industry. Take a peek. The Tax Cuts and Jobs Act of 2017 sent ripples through commercial real estate, thanks largely to the revelation of opportunity zones. But a few TCJA tax code changes could be even more influential. 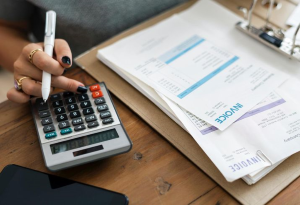 One that has tax professionals abuzz is bonus depreciation, which can save large amounts of money no matter the project. RSK: This may help rectify the tax code 39-year depreciation mistake in the above article but not all of it. Gone are the days of sleepy, gated retirement communities in secluded, suburban settings. Millions of baby boomers reaching retirement age today are demanding a more urban style of living, and developers are beginning to respond. RSK: Not sure where I would like to be. More crime in the heart of the city but convenience is always a factor. despite the fact that such properties are more expensive than ever. standard office space, which has also seen cap rate compression in recent years…. RSK: This may be the new darling of real estate investments although warehouse/distribution is still right up there. RSK: This will affect commercial real estate. A good read. call center, etc. 2 out lots also available for sale. Cora Coleman grew up scratching out designs on graph paper and flipping through pages of map books. She is the third generation in her family working in real estate in Houston. 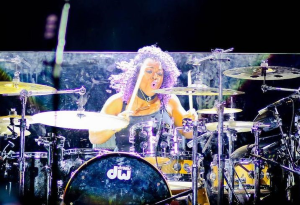 She is also a professional drummer who as Queen Cora has performed with superstars such as Beyoncé and Prince and has played for audiences around the world. She is a vegan and is passionate about energy preservation, minimalism and durability. A hodgepodge of those experiences guided her to form Building Simple Inc., a construction firm that is repurposing shipping containers for residential, commercial and recreational use. RSK: So much possibility here! the design-curious off the street just to take photos to post to their feeds. 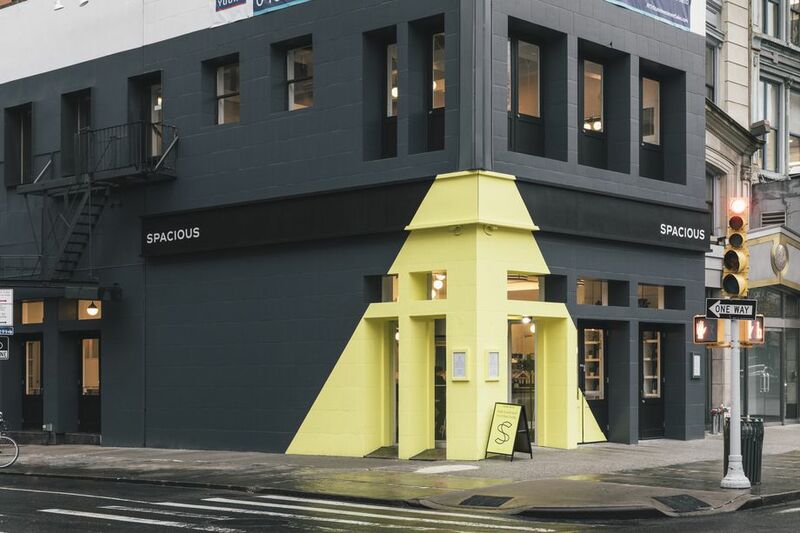 “No one wants to design a store that people just walk past,” he says…. Walmart and Kroger are rethinking store layouts and functions as they battle for a bigger share of shoppers` online grocery spending. a separate area within its stores for picking online orders “so it doesn`t create a distraction for the brick-and-mortar customer,” Kroger`s chief digital officer Yael Cosset told Business Insider. RSK: Even the grocery wars are all about fulfillment! 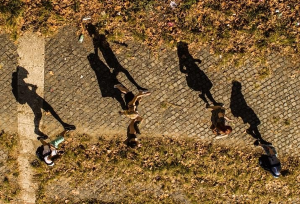 CEOs and presidents of major real estate and development companies were among the more than two dozen prominent and well-heeled parents involved in a massive $25M bribery scheme to get their kids admitted to some of the nation’s most elite universities. & Development founder and CEO Robert Flaxman, WP Investments President Bruce Isackson, Dragon Global CEO Robert Zangrillo and John B.
Wilson, a founder and CEO of an undisclosed private equity and real estate development firm, were among the 32 defendants charged with conspiracy to commit mail and wire fraud, according to a criminal complaint filed by the U.S. Department of Justice in Massachusetts…. RSK: Oh oh Rorge….not just Hollywood Elites I guess. 2 outlots available for sale on the former Shopko site with unmatched presence along a major highway visible to 117,000 vehicles daily. 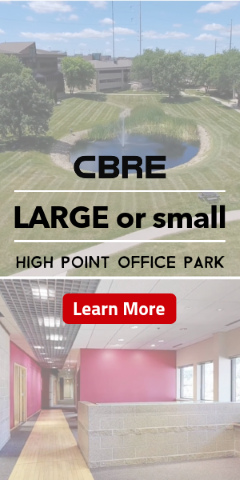 Adjacent tenants are quality nationals such as Kohl`s, Hobby Lobby, Planet Fitness and more. RSK: Love these bootstrap stories. Betting you will see these in more college towns soon such as Madison. Frans and Caroline Swaalf, management consultants in the Netherlands, have been enamored of South Florida since they were graduate students at the University of Miami in the 1990s. 2007, they thought their time to buy had come. 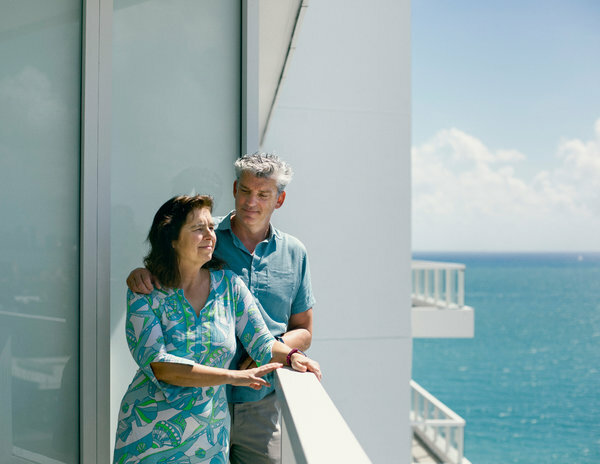 They bought a condo in the Fontainebleau, a resort in Miami Beach, in 2010, after prices had bottomed out, paying 60 percent less than it had sold for two years earlier. The condo has since doubled in value. RSK: o question about it, real estate for a long term investment is hard to beat. Imagine you`re the proud owner of Los Pollos Hermanos, a fast-food empire with 14 locations in the American southwest that you`ve built on the twin pillars of perfectly seasoned fried chicken and meticulously maintained restaurants. The year is 2018, and you`ve noticed that a few of your establishments, including the flagship spot in Albuquerque, could use some freshening up. So you dip into the corporate coffers and pony up $1,000,000 to renovate and refurbish the interior portion of several of your restaurants. And you couldn`t wait to do it. Why is that? your improvements would give rise to an immediate $1 million deduction. RSK: This is some serious tax write-offs going down the drain. I hope the House gets its act together asap!! Exciting mixed-use development of the former Oscar Mayer facility. Amazon was focused on talent pipelines and incentives when it was looking for a place to put its second headquarters, but when its executives visited Arlington last year, a handful of community interactions helped convince them that it was the place to come. 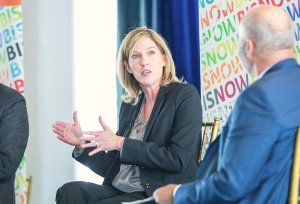 Amazon global economic development head Holly Sullivan, speaking Thursday morning at Bisnow’s Amazon HQ2-Apalooza event, said the company dispatched an employee to take the temperature of the Arlington community when it was deciding whether it should bring its 25,000-plus jobs to the area. The Amazon employee sat in local bars and coffee shops and asked patrons what they thought about the idea of Amazon considering Arlington for its second headquarters and how it could impact the community. RSK: Amazon has gone to the Dogs….and that’s alright by me! Let’s see, Dogs. bars & coffee shops…what could be better? Ken Notes: One take away, as an ED professional I always found it was important for a potential client to have a great first impression and I orchestrated created one for the client. When EPIC first came to Verona the council and staff all agreed to not talk details but rather listen and ask how can we help…. 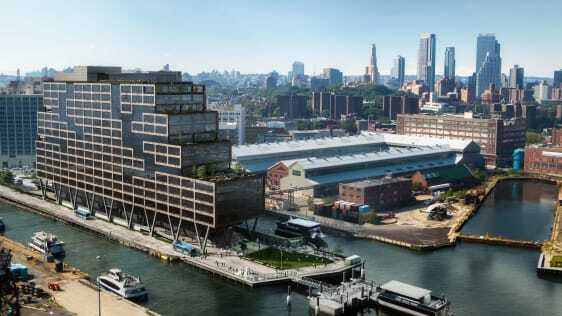 A sprawling, state of the art office complex at the Brooklyn Navy Yard is the latest example of legacy real estate companies tangling with tech. RSK: It is and is going to be a part of our office culture. The Gialamas Company’s premier development. The park has over 57 buildings containing 200+ companies, occupying over 3.0 million square feet. According to a 2015 study published by CREW (Commercial Real Estate Women), an industry networking organization, women are advancing in commercial real estate, particularly in the C-suite, and the shrinking salary gap. Yet with this advancement there are still areas of improvement when it comes to the income gap, and getting more women interested in CRE brokerage, leasing and sales positions. RSK: A few good lessons to be learned here…and not just for women. Do You Fear The Boomers In #CRE? No? Maybe You Should! Turning apartments into furnished short-term stay units has long been an eleventh-hour move — a developer’s “Hail Mary” when units are not leasing at the anticipated rate. But the presence of nationwide short-term operators means leasing out part of a building as furnished rental units is looking less like a last resort and more like a common sense financial decision. RSK: Not sure if this model would work in our market. What are your thoughts on this? CoStar Group‘s market value rose to over $16.5B Wednesday after the commercial real estate data giant reported that its 2018 earnings surpassed expectations. RSK: Not so fast my friend. The driving demand in CRE has been distribution/warehousing and that will still be a hot commodity for a few more years. Office Space? Maybe not as Co-Working takes a big leap. Retail…see that as steady to a bit lower. Multi-Family…yes we are reaching saturation in some markets and out pricing the customer. Just my viewpoint and gut feeling. A nuisance or a great way to earn income? The Times story revealing the inner-workings of a group’s multimillion-dollar Airbnb scheme — unlawfully using the site to convert scores of Manhattan apartments into makeshift hotels — reverberated with readers around the world. We heard from hosts who share their homes to make ends meet, families who live next door to apartments rented out on Airbnb and travelers who use Airbnb — as well as those who prefer not to. The company’s rapid growth has transformed how millions of people travel. But it’s clear, from hundreds of reader comments, that there’s a heated debate over the impact of the so-called sharing economy on the character of neighborhoods, housing stock and quality of life. RSK: I find this interesting especially since our neighbor rents his place out periodically in the fall. What I see is more elderly people in residential areas are not keen on their neighbors doing this, nor are people in exclusive apartments and condo projects. Logistics and eCommerce are driving forces in this record-breaking industry. Hear from national and local experts on how the future of warehousing and distribution decision are being shaped. retail space will be available in June 2019, in the charming and popular destination village of Paoli, WI, just minutes from Madison retail art gallery has operated very successfully in the space for 31 years. The space is located in the historic creamery overlooking the scenic Sugar River. It features high ceilings, large glass block windows, ceramic block walls, wheelchair accessibility and off-street parking. Other businesses in town include an upscale restaurant, several other eating establishments, art and craft galleries, a beer garden, an artisan cheese store and other specialty shops. A well-established merchant organization plans several town-wide events each year, attracting sizable crowds and offering live music, refreshments, art openings and other special activities. Paoli is also a popular area for cyclers, fishing and boating. The total rental space available is 5170 square feet, including retail/commercial space, bathroom, and storage. There is an option to split the space into two sections (820 square feet and 4350 square feet). Rental rates from $5.38 to $6.22 per square foot. Tenants pay utilities. 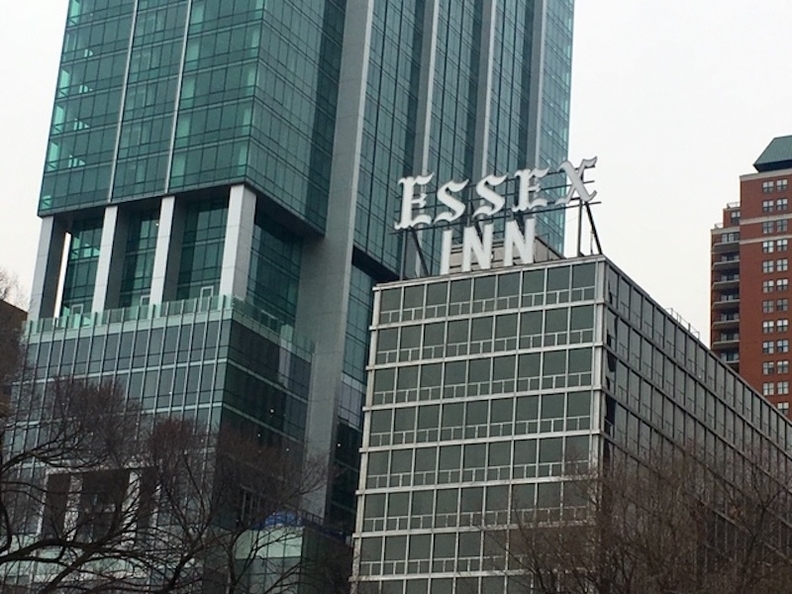 Crain’s got the first look at Essex on the Park, a new 56-story residential tower paired with a rehabbed landmark hotel on Michigan Avenue. It’s the latest from the firm behind LondonHouse, Hotel Julian and the Godfrey. 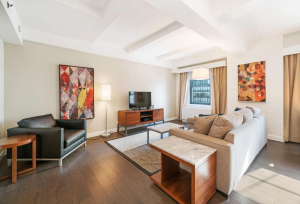 RSK: Very cool place…but check out those rents especially for the penthouses! Approaching San Fran heights. Our roster of restaurants reads like a who’s who of Madison’s favorite eateries: From Monty’s Blue Plate Diner, to The Avenue Bar, to Steenbock’s on Orchard, each is unique in its atmosphere and menu and each is the best at what it does! Gap, JCPenney, and Victoria’s Secret announced more than 300 store closures over the course of 24 hours this week. RSK: Not looking good for large clothing retailers. RSK: I read this first thing every morning to quickly catch up on the world. You may want to subscribe yourself…it is a freebie!!! RSK: One of the better descriptions of the Blockchain theory. Distressed America is Wall Street’s hottest new investment vehicle. 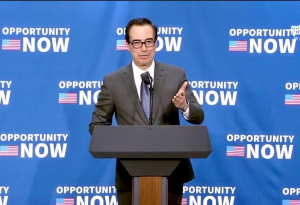 Hedge funds, investment banks and money managers are trying to raise tens of billions of dollars this year for so-called opportunity funds, a creation of President Trump’s 2017 tax package meant to steer money to poor areas by offering potentially large tax breaks. RSK: This is such a hot topic right now. I wonder where this is going to go wrong. It still has to make sense as an investment no matter how you slice it…tax breaks come and go like that. Remember the 80`s! CBRE has gotten its new coworking venture up and running with its first deal and a timeline for the future. 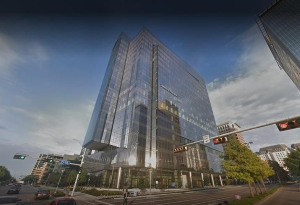 Hana, which operates as a wholly owned subsidiary of CBRE under CEO Andrew Kupiec, has inked a deal to turn three floors of the PwC Tower at Park District in Dallas into coworking space, The Wall Street Journal reports. Hana will share the build-out and operating costs with the building`s co-owners, Metropolitan Life Insurance Co. and Trammell Crow, as well as the revenue. RSK: Well, another player in the Co-Working arena! RSK: Worth downloading this report. The Tax Cuts and Jobs Act (TCJA) made several favorable changes to the federal income tax depreciation rules for real estate. Here’s what real estate investors need to know about the TCJA changes, including the potential downsides. RSK: If you already own or are purchasing some income-producing real estate you better read this. One promised deduction never made it into the tax code for the Feds. Ken Notes: I will pitch this until someone bites, we would love to do an Property Investment Newsletter for someone trying to get new or stay in front of current real estate investors. Industrial tenants want more space and they want it now. 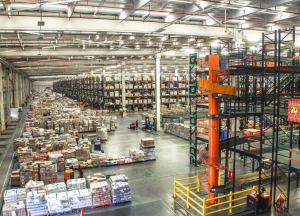 Industrial supply nationwide is through the roof — with nearly 1B SF of new space coming online during the last three years — but it isn`t enough, according to Transwestern`s Q4 2018 report on the market. Despite the surge in supply, there was positive net absorption in 43 of the 47 markets that Transwestern tracked during 2018. During the fourth quarter, 40 markets enjoyed positive net absorption. 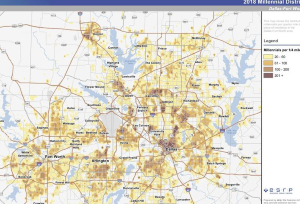 “E-commerce, last-mile delivery and the need to streamline tenants’ supply chain strategies is incentivizing companies to locate near their consumer base,” Transwestern Director of Research (DFW) Ryan Tharp said…. RSK: That last mile is a major driving force. Look at SE WI which is considered part of the large Chicago MSA…..it is booming. 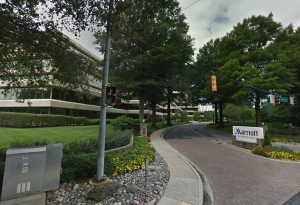 Senior housing developer Erickson Living purchased the 34-acre Marriott campus in North Bethesda for $105M last month. 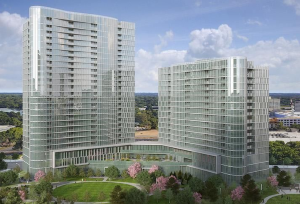 The hotel giant plans to move out in 2022 to occupy a newly developed, 21-story tower near the Bethesda Metro station. RSK: I love repurposing….if it makes sense. The driving force here is businesses and corporations do not want to own large tracts of land surrounding their office building. Hence, as land values increase makes sense to sell and move downtown to higher density and underground parking. Like most industries, real estate has changed over the years. If new real estate developers want to be successful, they must not only get a feel for what the current market values, they must stay aware of — and plan for — future changes in what people look for in a property. This might seem intimidating, but with the right guidance, people getting established in the industry can start off on the right foot and establish a name for themselves…. J.P. Morgan Chase is breaking barriers—literally. The bank is tearing down walls in many of its investment banking offices and instituting shared desks, an approach that has been popular in the tech industry for years, according to Reuters. RSK: OMG! Is nothing sacred? Where did Payless go wrong? Payless ShoeSource on Saturday confirmed that it plans to close all 2,100 of its locations in the U.S. and Puerto Rico in coming months after failing to find a buyer. The company is expected to file for bankruptcy filing in the weeks ahead to sell real estate. Roughly 1,500 international franchises and Latin American stores are unaffected. RSK: I guess the moral of this story is “If the Foo shits, you better wear it” or at least carry it for your customers. High Traffic Counts!! Great Visibility and Easy Access!! Tenants include: Ace Hardware, Dollar Tree, Weaver Auto Parts, H&R Block, Edward Jones, Subway, Promises Floral & Gifts Studio, Cocina Real, Princeton Club Xpress, And Dogs Too Veterinary..
RSK: This new category seems more for long term clients rather than short term ones. Maybe I read this wrong. 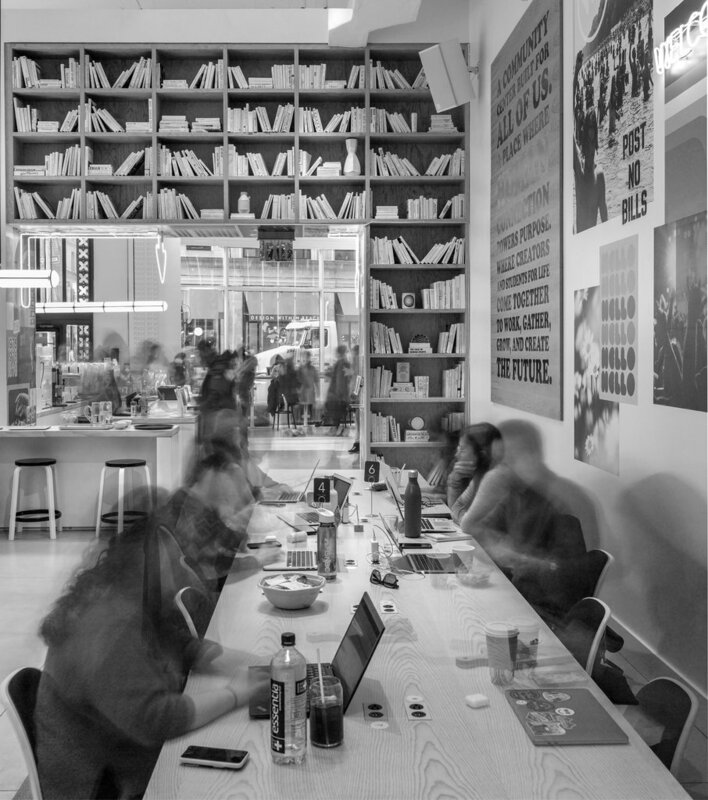 RSK: WeWork spaces are becoming similar to communes and little neighborhood communities. Just keep the beer keg and coffee flowing I guess. Kumbacha anyone? Join us for a cocktail party/meeting to celebrate the 2018 Deal of the Year Awards at The Madison Club, 5 East Wilson St., Madison. Everyone is welcome to arrive at 5:00 p.m. with the awards ceremony beginning at 6:00 p.m. Be sure to attend! 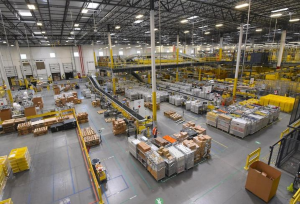 Amazon is the figurehead for the supply chain revolution that has caused a boom in industrial real estate, and it is still growing its influence. In its annual 10-K filing with the Securities and Exchange Commission, Amazon added transportation and logistics companies to its list of competition in 2018, CNBC reports. It is the first time Amazon has named shipping and logistics as a moneymaking element of its company. RSK: All in the name of the last mile. Now, even WeWork has dipped into the warehouse/distribution sector…interesting. In the U.S., a mere 3 percent of grocery spending takes place online today. A new study by Bain & Co. in collaboration with Google finds shoppers are still reluctant to try delivery services and often don`t stick with them. But the firm predicts grocery delivery will ultimately take off as companies continue to invest in it. You might think that just about everybody is buying groceries online today, as retailers like Walmart, Kroger and Amazon race to perfect their delivery services and tout their abilities to get food to shoppers` homes in under an hour. But that`s not exactly the case. Grocery shoppers are still concerned they`re being charged higher prices online and complain about delivery drivers being late, among other disappointments. RSK: Every time I go to Hy-Vee there are boxes and bags of groceries lined up for delivery so they may not be suffering the same as others. Ken Notes: like all new tech there will be a learning curve as consumers decide how they want to shop. Remember many people do not know exactly what they want when they shop, thus the store provides the experience (visual selection) they want. It is about this experience and stores and online retailers that provide great ones will thrive. Millions of senior citizens are staying in their homes longer than their predecessors in earlier generations, keeping homes off the market and making it more difficult for younger Americans to break into ownership. 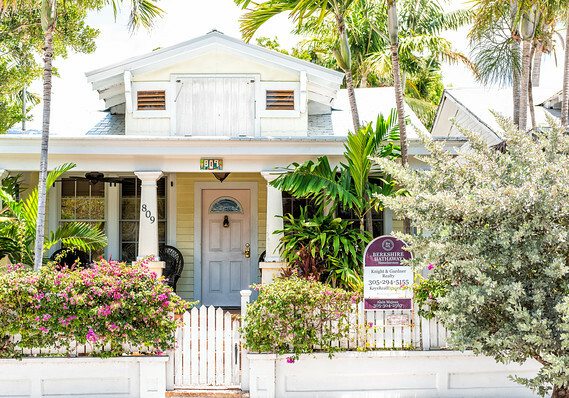 According to an analysis from economists at Freddie Mac, 1.1 million homes have been “held off the market” by owners born between 1931 and 1941, and another 300,000 by those born between 1942 and 1947. RSK: One reason being we are much healthier and wealthier today than ever before. This allows people to stay in their homes longer by just making a few modifications and hiring out yard work, cleaning, repairs etc. In recent years, new and evolving technologies have impacted the way nearly every industry operates. This is especially true of real estate, where tech has revolutionized everything from property listing databases to signing contracts. 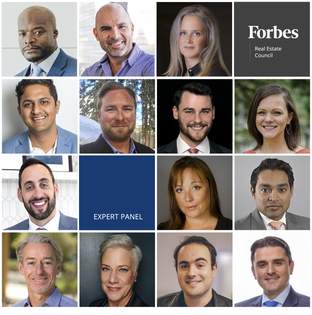 The members of Forbes Real Estate Council have seen a lot of disruptive commercial real estate solutions emerge during their careers, and many of them have leveraged these new products and methods to improve their business. Below, members discuss some of the technologies that have helped them get ahead. RSK: Some interesting sites here….worth checking out. Ken Notes: They forgot one. An outlet to stay in front of your client or investor each week. We can help with that! RSK: Could be a great time but the risks are still there. Globally, the self-care sector is a whopping $4.7 trillion business, reports the Global Wellness Institute. 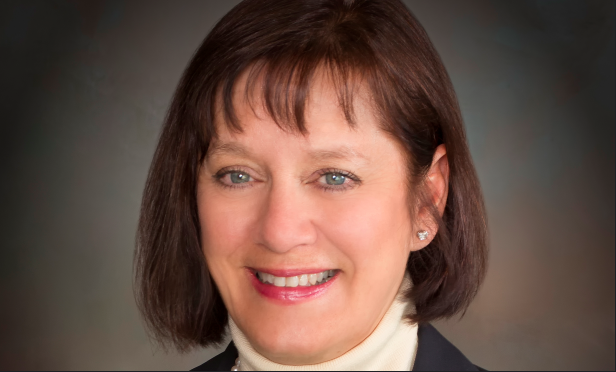 The term “self-care” is about people investing more in their health, says Sara Martin, vice president of retail brokerage at Welsh Cos./Colliers International | Minneapolis-St. Paul. That could be physically, mentally, spiritually or socially. “Self-care has recently emerged in popular culture… and the idea has caught on like wildfire in social media and in the self-help categories,” according to a new report from Colliers International | Minneapolis-St. Paul…. RSK: It used to be a coffee shop and a sub shop…now just about every strip center has a yoga, gym or fitness store…I guess convenience is the major factor. For the landlord, I have to agree that a 10 yr lease will get a better build-out than a 5 yr one. 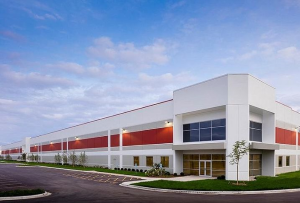 The Chicago area’s speculative industrial development boom keeps surging. Developers have 19.5M SF under construction, according to new research from Avison Young. That is a 59% year-over-year increase, and shows just how bullish many developers are on the Chicago region. The robust demand is also beginning to push developers to take risks in new submarkets. RSK: Wonder how the change in plans for Foxconn will affect this. As Hurricane Harvey bore down on Texas in 2017, Jill Renick spent her last moments alive at the Omni Houston Hotel, where she worked as the spa director. At 5:40 a.m. Central time on Aug. 27, 2017, Renick called the front desk, telling colleagues she was stuck in the elevator in the basement, with water rushing in. 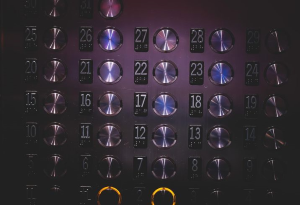 A surveillance video showed she freed herself from the elevator, but by that point waters in the basement were waist deep. Shortly after, the power went out. Flood waters continued to rise. Her body was found 11 days later in the ceiling tiles…. RSK: Looks like elevators and being a construction worker do not mix well. REIS Network will provide data services and tools from firms including CompStak and Rockport VAL. 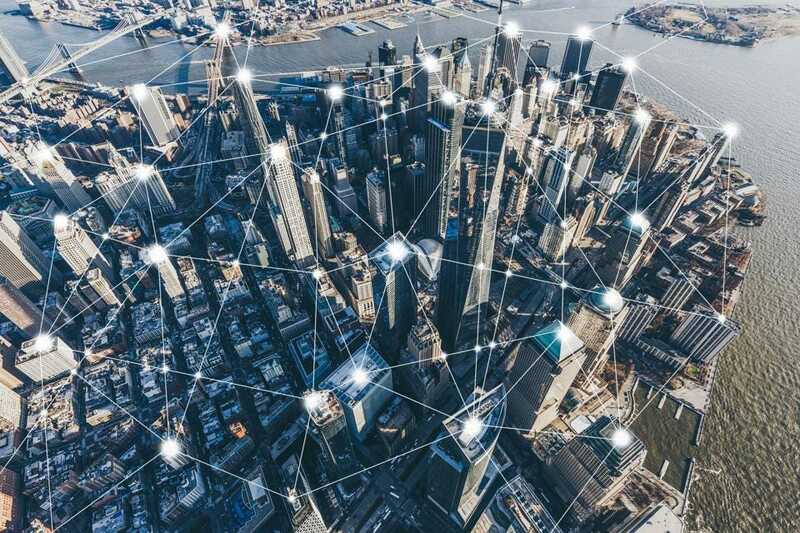 Moody’s Analytics has launched its long-planned commercial real estate data portal, highlighting the company’s push into a space largely dominated by the CoStar Group. RSK: Well, this will be an interesting battle. Wonder which format will win out. Amazon is considering pulling out of a deal for a new campus in Long Island City, which is set to bring 25,000 jobs to New York and put the area’s real estate market into overdrive, but was heavily criticized as a giveaway to the tech giant because of its billions in tax breaks. Since Amazon is yet to lease or purchase office space for the project, it would be able to withdraw, the Washington Post reported, citing two sources familiar with the company’s thinking…. 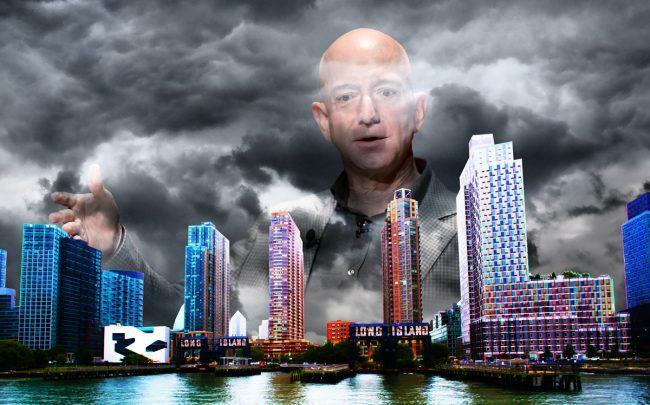 RSK: All the drama and politics with Bezos and Cortez….you can`t write a script this good….Gotham? From ancient times, transportation has shaped urban areas. One of the common locations for a city is where a river meets the ocean or the most-inland navigable point on a major river. Or think of the car-centric suburbs that flourished after World War II. RSK: Again, I loved this course at the UW in my Urbanism & Urbanization courses. (Pre RE School)The last paragraph makes so much sense. One of my pet peeves is the fact that so many people do not know how to park..taking up two spaces or leaving one so small that you wouldn`t be able to exit your vehicle. Profitable liquor store business for sale with real estate included. Income/Expense info available after signing confidentiality agreement. Co-listed with Tyson Hall of Master-Hall Appraisal. Contact Konrad Opitz/Opitz Realty or Tyson Hall. 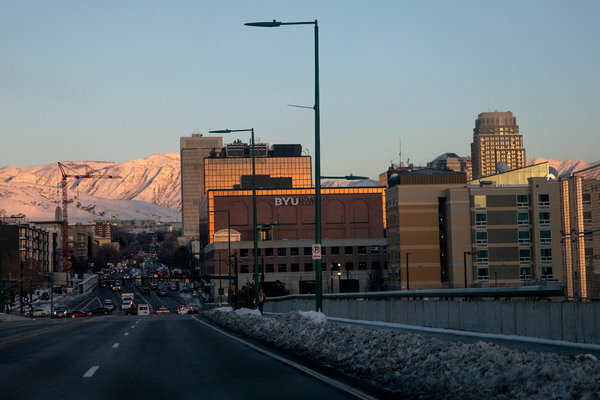 Just six months after spending $100 million in cash on Teem, a Salt Lake City-based office management startup, the company has acquired Euclid, a data platform that tracks the identity and behavior of people in the physical world. 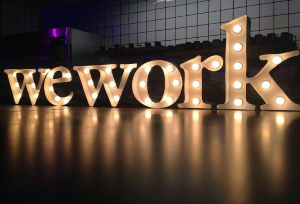 WeWork isn’t saying what it’s paying for the nine-year-old, Bay Area-based company, which raised $43.6 million over the years and whose brand will be put to rest. But the deal is clearly an effort to move WeWork further away from merely selling memberships to its co-working spaces — a risky business model in a sour economy — and instead also become a software-as-a-service provider. RSK: Looks like WeWork has lost its original perspective or is it just me. Ideal retail space will be available in June 2019, in the charming and popular destination village of Paoli, WI, just minutes from Madison. 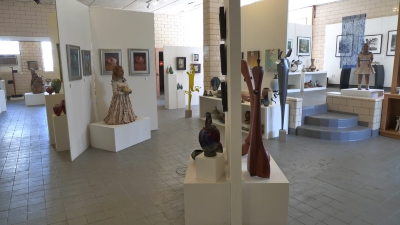 A retail art gallery has operated very successfully in the space for31 years. Italian Community Center, 631 E Chicago St.
OpportunityDb’s Jimmy Atkinson interviewed Tony Nitti, real estate tax law expert, CPA, and partner at Withum. He also serves on the editorial advisory board for The Tax Adviser. And he’s a contributor at Forbes.com, where he recently published a thorough primer on the opportunity zones tax incentive. RSK: A little primer and then some on Opportunity Zones. I’d like to share some thoughts about the many things I learned from my deep study of Sears, which have often inspired, informed and also cautioned me as a business-builder. I wrote “The Big Store” in 1987 about the retailer, and it has informed my time since 1994 helping Audible evolve from an idea to the big company it is today. RSK: A bit long but most interesting. To me it is obvious…a change in culture and attitudes….from loyalty and family to what is in it for me attitude. An empty former TGI Fridays overlooking Manhattan’s Union Square Park may be an unlikely symbol of today’s shifting real estate market. RSK: What an interesting concept. 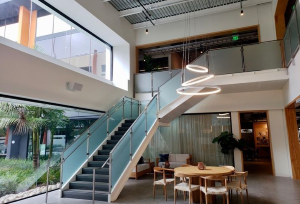 Restaurants leasing out space during the day for office needs and co working space. I do think you need the right location to do so but daytime is usually downtime for restaurants as they prep for lunch (about 90 minutes long) and dinner (about 180 minutes long). Prime office space available for lease on Madison’s near east side in the popular Schenk-Atwood neighborhood. This exceptional second floor suite has unique historic character, recently updated in high end finishes with a modern twist and tons of natural light. research survey conducted by NREI and DocuSign show the industry is making progress in implementing and investing in new technologies. 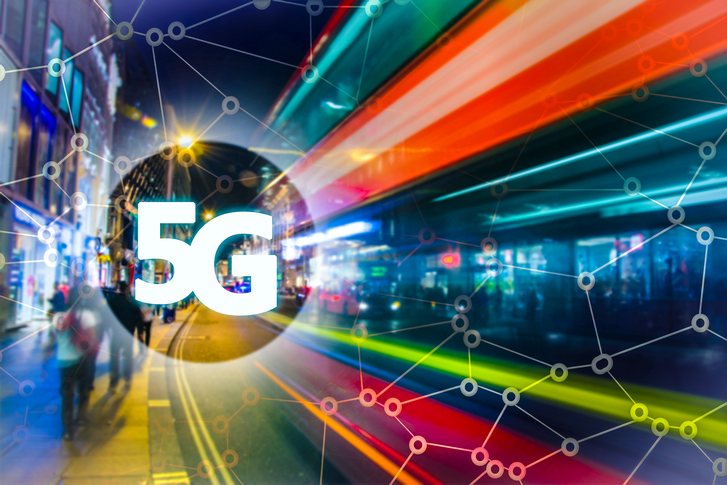 Yet results also show that companies are at very different stages in adopting new technologies, and overall, the industry still has more work ahead to catch up with other sectors. RSK: Thought several of you might be interested in this. `Blade Runner` Was Set In 2019. What Does It Tell Us About The Cities And Real Estate Of Today And Tomorrow? Los Angeles, 2019. It is jarring to realize, but we are living in the future, or at least, the future imagined by director Ridley Scott in his 1982 science fiction classic, “Blade Runner”. RSK: I recall watching Blade Runner and thinking 2019 is so far away…and here we are. 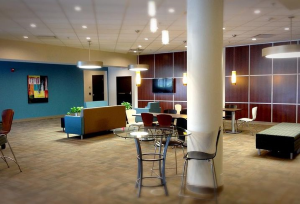 As the cost of construction continues to go up, student housing developers are finding it makes more sense to forgo luxury amenities for more social spaces. One piece of advice? Skip the kitchen. Ken Notes: We design space based on what we want, this is why we will never solve homelessness and have little or no sub 100K housing. We need to fix this. RSK: Removing kitchens? Might as well go back to dorm living with a central mess hall lol. What has become of the historic African-American neighborhoods around the United States? 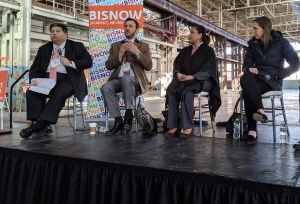 For Black History Month, Bisnow reporters pounded the pavement to find out. From San Francisco to Charlotte to New York City, residents, city officials and local businesses discussed the latest commercial projects underway and how they are reshaping their communities. 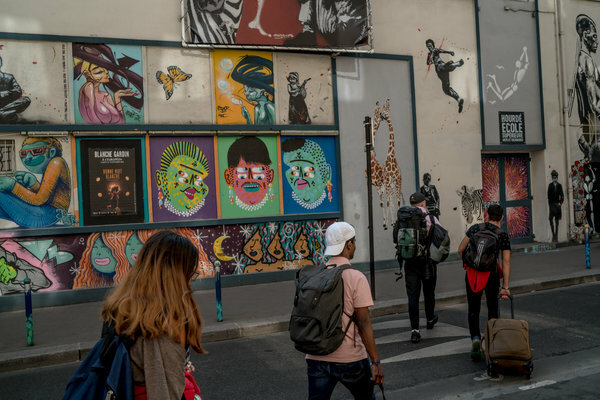 While some neighborhoods are being aggressively redeveloped and experiencing pushback from longtime residents wary of being priced out, others are becoming more modern while still holding firm to their cultural identity. Read on to find out which communities have preserved their African-American culture, and which have been completely transformed. RSK: I found this to be very interesting…the dynamics of change vs status quo is evident but many places are moving forward with some positive thinking. 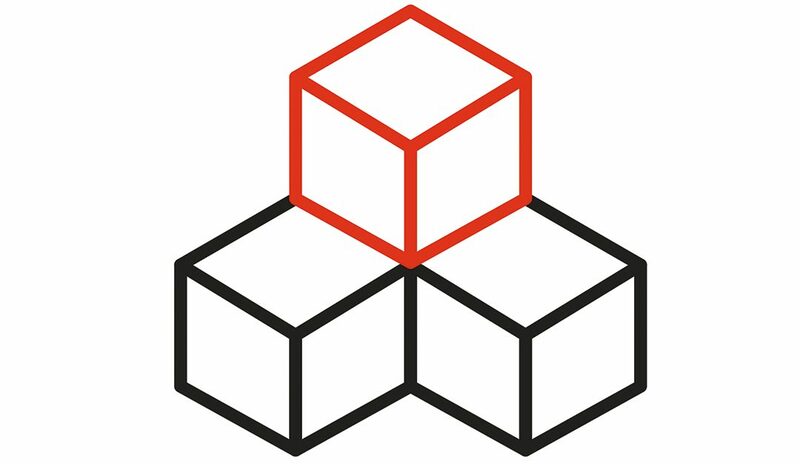 RSK: This is the best article yet explaining how blockchain works in CRE investing. I suggest everyone read this ASAP! Macy’s, J.C. Penney, Nordstrom and Kohl’s each have given Wall Street a glimpse at how they performed this holiday season. The results have been largely underwhelming. Even Nordstrom, often declared a top performer in the space, struggled to draw shoppers to its full-price stores during November and December. 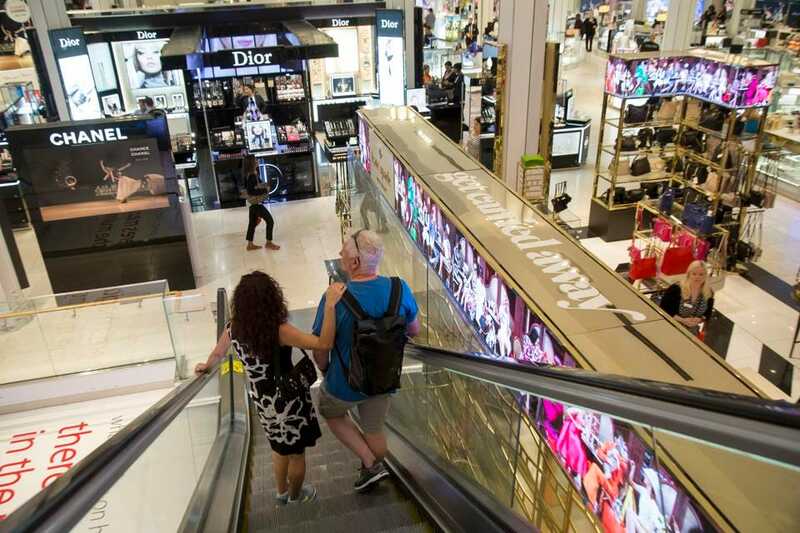 Department store chains aren’t giving the retail industry much to cheer about coming out of the holiday season. Instead, it’s been a lot of doom and gloom to kick off 2019. RSK: Not good! Target the only one treading water at the moment. 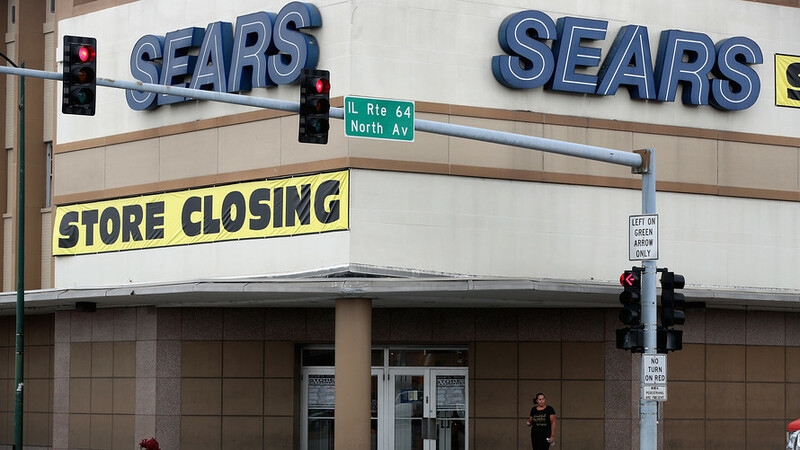 Sears Holding Corp. has gotten another reprieve, care of a bankruptcy auction win for the company’s Chairman Eddie Lampert, but the problems that got the retailer into trouble in the first place still persist with little hope for change, according to experts. If confirmed, the bid would keep more than 400 stores open. overhead doors – 6,000 sq. ft. in lower level – zoned BH – over 16000 cars daily – next to car dealerships and motel, area of great opportunities. Village to consider rezoning depending of the use, esimated six weeks. 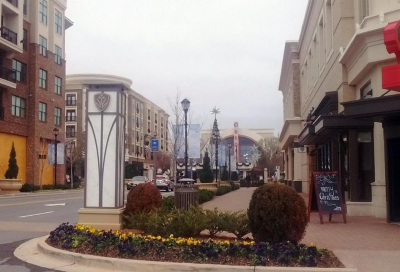 Before it was a household name, mixed-use development first sprouted up in suburban Atlanta in 1997, when developers carved out a few parcels in an Alpharetta office park parking lot for a hotel, a strip center and a gas station. “That is what mixed-use in the `90s was,” said Jennifer Koontz, a director at Pope & Land Enterprises, which developed the new uses in the office park, Northwinds Summit. WeWork has received yet another multibillion-dollar investment from SoftBank, and while the number may be smaller than the company`s CEO hoped, it is enough to kick-start a new era for the company. RSK: We Work has formed a parent umbrella company called WE! How convenient. While some traditional retailers are having a hard time keeping their doors open, Amazon-owned Whole Foods has been gearing up to rapidly expand into more regions. 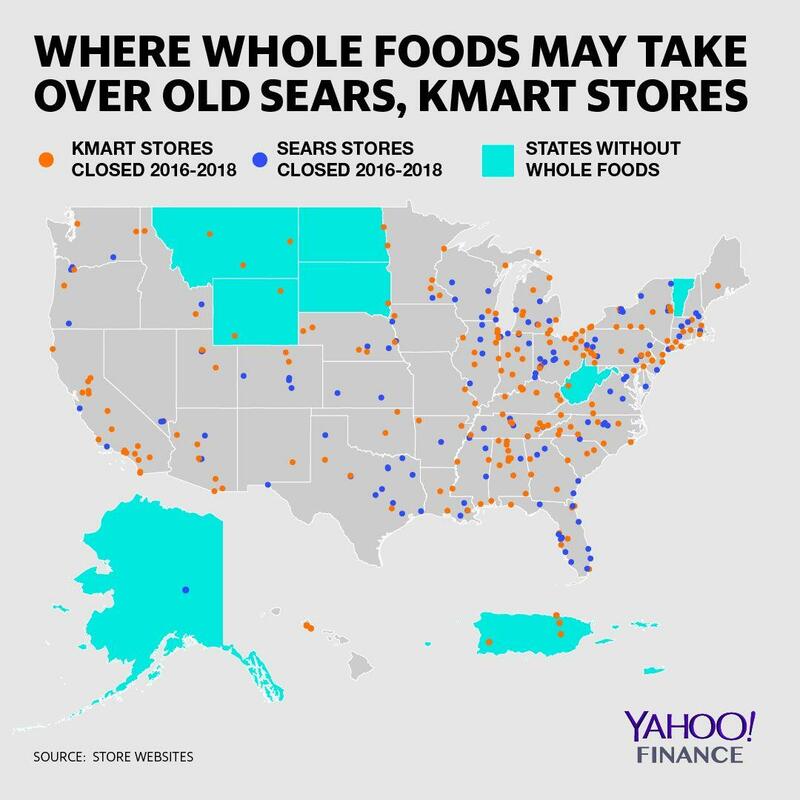 Grocery chain Whole Foods is eyeing sites that were previously home to Sears, Kmart and other struggling retailers, sources told Yahoo Finance. 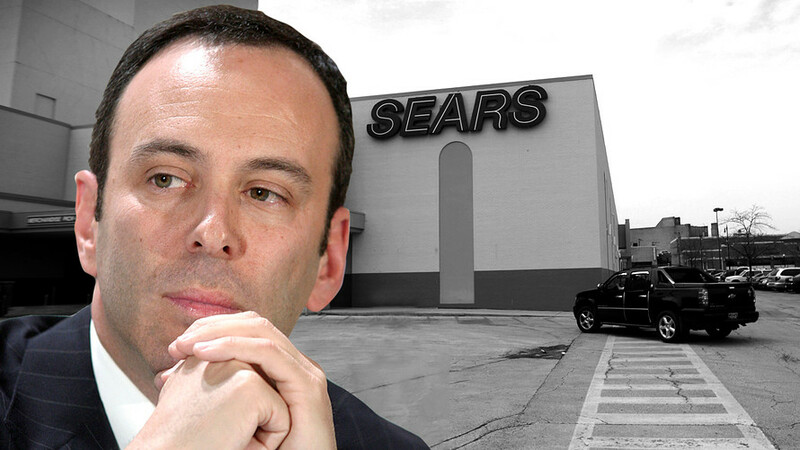 RSK: You just knew something or someone would take advantage of the closed Sears & KMart stores. Location, plenty of parking and a natural draw. 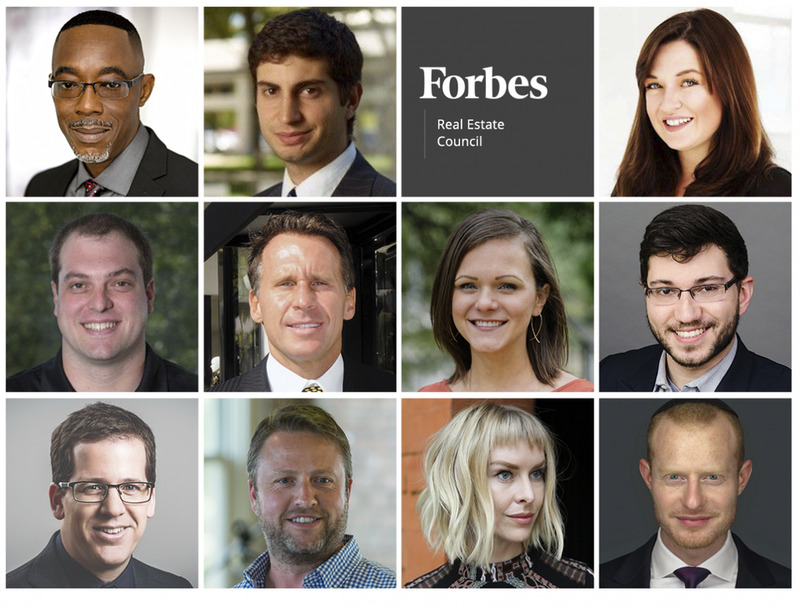 One would think, since we have been focusing on technology and innovation for the Commercial and Corporate Real Estate industry for over 20 years, that forecasting major trends for the next 12 months would be an easy task. Nothing could be further from the truth. The reports of Sears’ looming liquidation and the drastic drop in Macy’s stock price today, after a below expectations warning on holiday performance, portend one very important fact: Department stores are doomed. RSK: There is a lot going on in this article and you can glean out whatever you wish. For me it is plain and simple…the convenience factor of trying on the clothing, finding my size and taking it with me. Or, if it is a product other than clothing I can touch and feel it and see it in action. Nothing worse than ordering an article of clothing than having to return it by mail for a different size which then doesn`t quite fit either. If I were a B&M retailer, I would have samples of everything in each possible size and color and then let people buy it and have it shipped to them, knowing that it will fit properly. Kohls, seems to have this idea although not a perfect one…it works for me. Ken Notes: Read this! 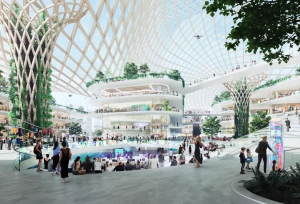 Some market is going to create a new dynamic for large retail, I think Madison should work with retailers to experiment we have malls that arn`t dead yet with end caps to play with and if we solve the billion dollar problem???? This market wipeout has one big silver lining for income investors like you and me: dividend yields are soaring—and today we’re going to tap four of my favorite stocks for payouts all the way up to 8.9%. RSK: Here are a few REITs that have good solid returns and why. Ken Notes: I have some money in ARTIS with local holdings and have done well. I wonder if we should put together other Madison centered REITs to offer to local investors, the state, and those wishing to diversify. As the space allocated to residential units has shrunk in an effort to create more affordable housing in expensive cities, the challenge has grown for how to fit life`s necessities and some luxuries into those spaces. One company has a novel solution: Store it in the ceiling. This is not college-dorm lofts and ceiling-suspended shelves. Bumblebee Spaces creates units where furniture descends upon demand, leaving valuable floor space open and usable when the furniture is not needed…. J.C. Penney says it will offer more information about future store closures in its next earnings report slated for Feb. 28. Analysts are predicting that anywhere from 20 locations to more than 100 could close. J.C. Penney still operates more than 860 stores across the U.S. It looks like there are more store closures looming in J.C. Penney’s future. The department store chain Tuesday said it would be closing three locations by this spring, as it continues to evaluate its real estate. It didn’t disclose the addresses of those three stores or how many additional stores it planned to close in 2019, but said it would offer more information in its next earnings report slated for Feb. 28. 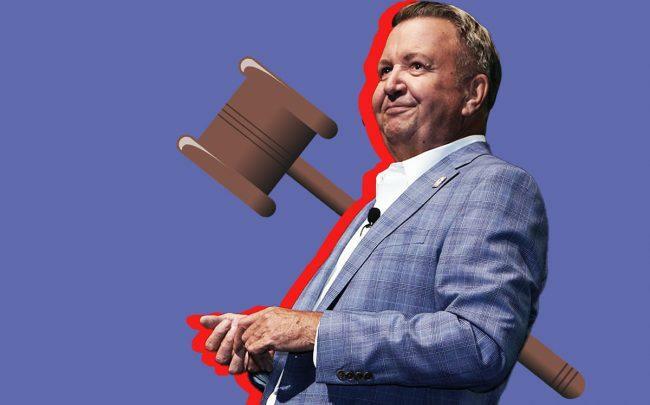 RSK: I hope JCP can prevail and not turn into another Sears’s fiasco. Only stores left will be Kohls and Macy`s. Ken Notes: We need a creative way to bring people into big department stores, I would love to see a redesign that turns them into little boutique shops wit a central checkout. I love kitchen gadget stores for example but can`t afford most of them. San Antonio residents aged 65 to 70 carry the most non-mortgage debt: a median balance of $29,993, according to LendingTree. Car debt accounts for nearly half of the amount older San Antonio residents owe. The average term on a car loan is approaching six years, according to Experian. Hello, San Antonio! 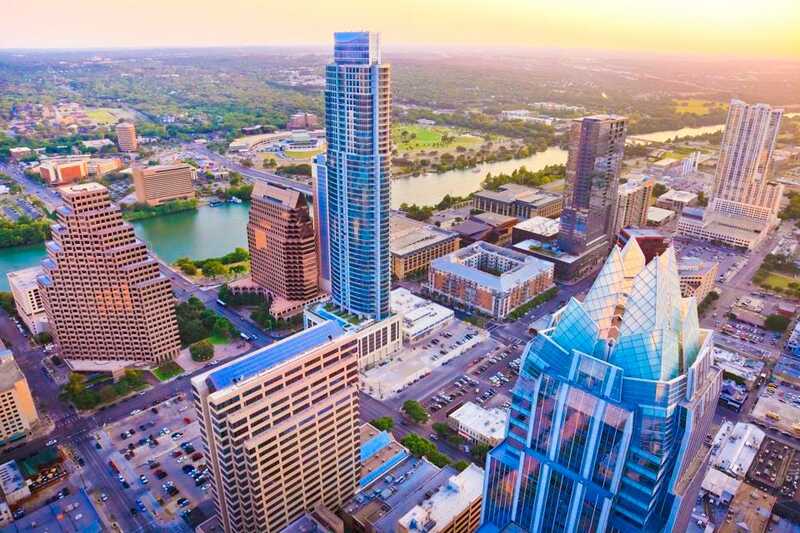 Seniors residing in this Texas city have the have the largest non-mortgage debt balances. RSK: If you look at the map seems to be the larger cities that have this happening….Milwaukee is on the list. In December 2018, Amazon made its long-awaited announcement of where its second headquarters location would be. Much to the competing cities` surprise, the e-commerce giant chose to split “HQ2” between Long Island City, New York and Arlington, Virginia. RSK: Not just Amazon but any tech company moving in will help the economy. Can you say Foxconn? 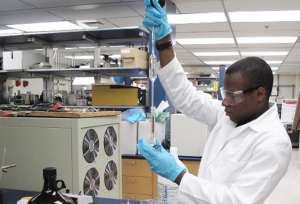 How about Exact Sciences and many more not quite the behemoth Amazon is….yes they all help. 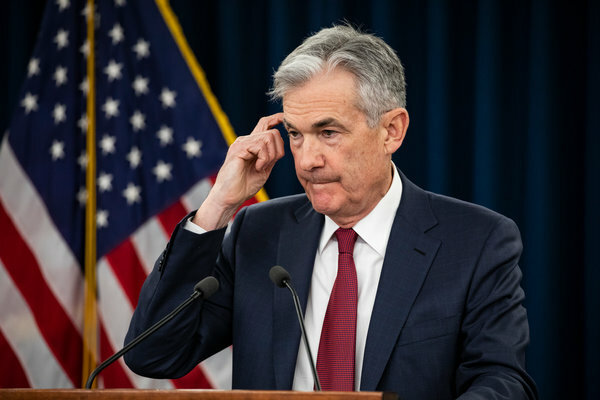 WASHINGTON — A pair of influential Federal Reserve officials said Wednesday that the central bank should pause to assess economic conditions before considering additional interest rate increases, reinforcing the message delivered last week by the Fed chairman, Jerome H. Powell. RSK: Good idea. Let`s see how things shake out over the next quarter or two. 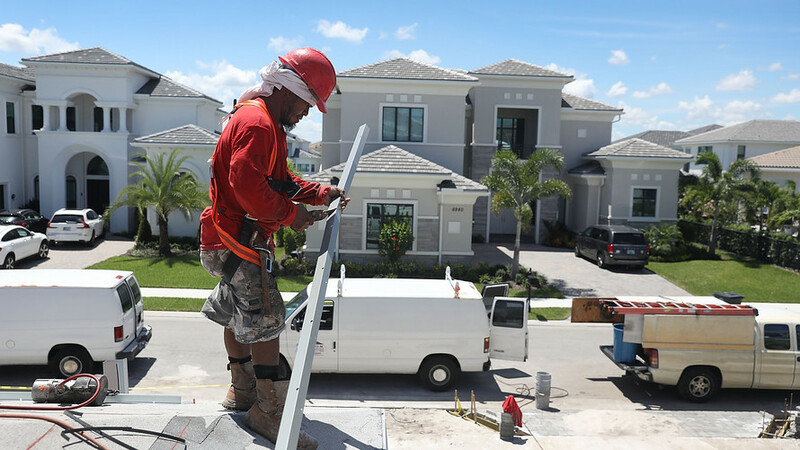 Earlier this year, the U.S. Census Bureau shared its latest data concerning suburban population demographics from 2016 to 2017, revealing a trend that many had long suspected: As more big cities become less affordable, people are moving back to the suburbs. Industrial building with 20` clear height, 4 dock doors and 2 drive-in doors. Owner will divide and modify the building for tenant users – 4700 SF, 6300 SF & 9100 SF with some variation, each tenant to have at least 1 loading dock and 1 drive-in door. Professional office condo unit, waiting area, business office, reception with file area, 1 private dentist`s office, 2-fixture bathroom, x-ray lab, sterilization/lab area, dark room, storage and 7 operatories. Occupancy in summer 2019.